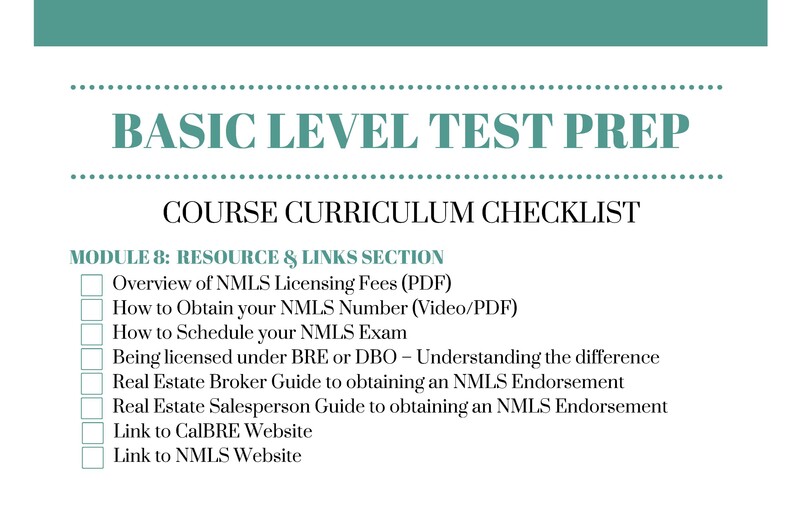 NMLS EXAM PREP - PASS THE EXAM THE FIRST TIME!! 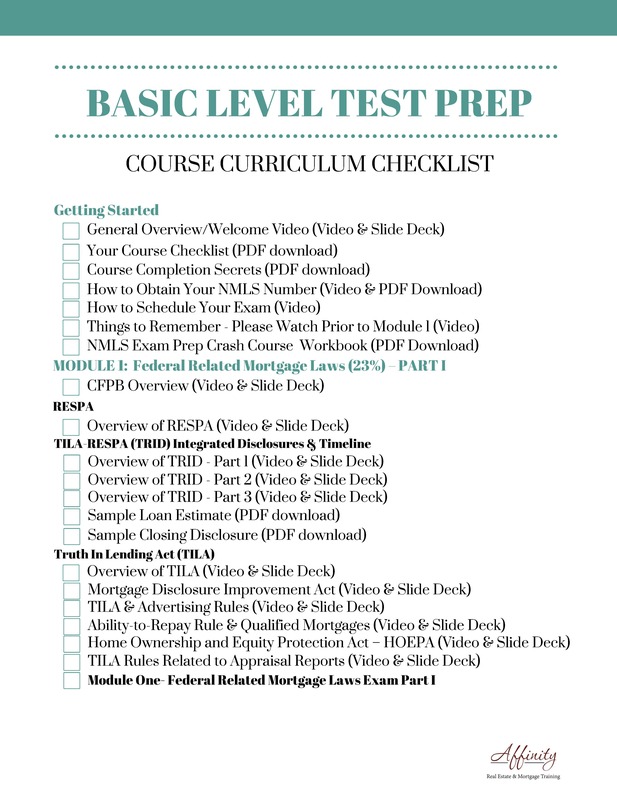 According to the NMLS website, between July 30, 2009, and this past December 31, 2016 the first time “pass” rate of the national loan originator exam has fallen to 55 percent. That means that almost 45% of test-takers are failing the exam! This is an indication that the test is not too easy! We have a 92% pass rate based on students that have taken our Exam Prep Cram Course - Check out our YELP Reviews!!! I passed my test this last week. Thank you!! I have tried quit a few exam question from other sites , this has been the most logical instructed, this is the one I purchased. So very close to the question that I have had on the test. Informative might be the better word but complete is best for it sticks with you. Ms. Woods is right on. I purchased CompuCram but had to cancel soon because its just a test taking tool. It won't teach you and clear any concepts. Then after researching a lot I found Affinity course. It is very organized and simple. All the concepts are explained with easy to remember tricks. End of the day all it matters is how easily you can remember the concepts without memorizing. That is exactly all I did. 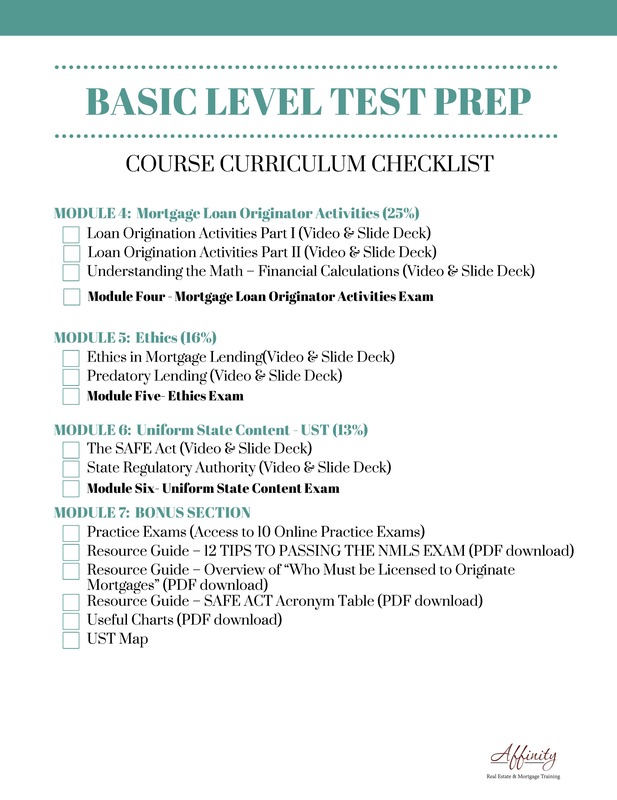 Tried to associate the concepts with some easy and fun to remember things and BOOM at the test every thing comes to you easily with out any confusion . I prepared for 11 days and took the test and obviously I passed with 87% score . Thanks Affinity for doing a wonderful job and keep up the good work !! This was my 3rd try on the MLO exam. I made a 70% and a 73% the 1st and 2nd try. I passed with an 87% after taking the crash course. This course made me truly understand the material so it didn't matter how they worded the question, I knew what answer they wanted. Awesome course! I'm more confident that ever to go into the same testing room that I got a 59% and pass the test this time. Thanks for this awesome learning experience. Passed with 93% the first time! 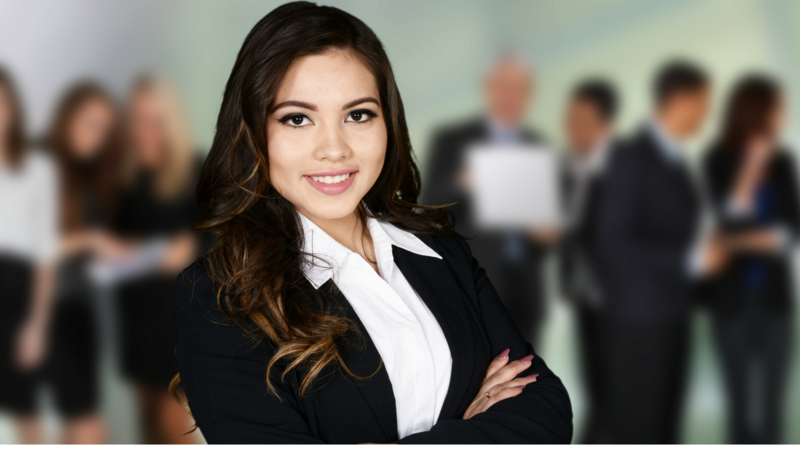 This course was fantastic and showed you EXACTLY what you need to know to pass the exam. The sample tests were spot on with the same level of difficulty found on the real test. Material was well laid out and presented to make it easy to understand. I've never been in the industry and came from high tech sales but I was able to pass this test on the first try with 93%! Artricia is a fantastic instructor. This course if very through and understanding. I love the repetition and in depth detail of the material. The layout and format is very uniform and easy to maneuver. Thanks to this course I passed on the first try! I want to thank you for this course! I'm in N.Y. and had already taken an online course for my 20 hr requirement but felt that I needed more. I looked at many different courses and came across your YouTube videos. After watching all of them I decided to purchase your Pass the Test course with the added flash card and vocabulary. Everything was easy and straight forward to understand. The practice tests helped me see what I needed work on. I felt prepared to take the Test. When I say the actual test was BRUTAL I'm not kidding! There were times when I thought that I didn't study enough! I was the only person who passed in my group! I hour an 83 and it was HARD 83! The Procter commented on my score and said it was one of the higher scores she's seen in a while! If it wasn't for you I would not have passed. Thank you very much. I told everyone to take your classes and look you up on YouTube as I was leaving! Thank you very much. I look forward to seeing other classes you will be teaching!